While some massage chairs focus on the basics, others take on a more professional and advanced feel. 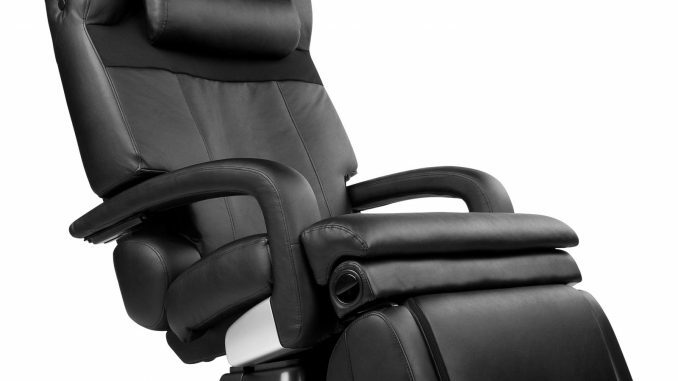 The Human Touch HT-7450 is one of the more advanced massage chairs available for purchase. Deep massaging features, adjustable options, and customizable characteristics, the Human Touch HT-7450 is a very well-rounded massage chair. Stretching and massaging are two of the best features of this chair, but the awesomeness does not stop there. Instead, there are many other additions and characteristics that help to make this chair one of the best. Keep reading to learn more. The Human Touch HT-7450 believes in creating just what the brand name suggests: a real-life massage feeling with every use. It does not disappoint. The massage movements include six different types. There is a kneading motion as well as chopping and rolling. These massages focus on numerous areas of the body and give a massage that goes from head to two. There is special attention paid to the back and lower lumbar region. Specifically, the movements are incorporated with heat therapy that makes for a more effective massage experience. It truly feels like a professional masseuse is aiding in the process giving it a spa-like feel. The Human Touch HT-7450 has zero gravity as an option. That means that a user can position himself or herself to lay nearly parallel to the ground. This is the best position, arguably, for a full and complete massage as it puts the user in the most receptive position. The chair allows the arms as well as the footrest to be a part of this position. As such, there is an air of weightlessness that can be as soothing to the mind as it is to the body. While many other chairs have zero gravity positioning, the Human Touch HT-7450 has taken it a step further. They have a patented zero gravity system that is unlike any other on the market. The programming on the Human Touch HT-7450 is impressive. There are over seven different pre-set programming options. That means that individuals can choose from everything from a full body massage to specific goal-massaging such as body stretching or shoulder pain relief. This is one of the more advanced programming systems. It has a program even that is dedicated to sports therapy in the back region which can be easily stressed by exercise and activity. Another great advantage of this system and its programming is that it is time reactive. That means that it is equipped with different programming modes based upon the time of day that it is. The Human Touch HT-7450 has massage settings to help wake a body up and, in turn, one to help relax the body and prepare it for sleep. With all of these features, you might expect the Human Touch to be large. It is quite the opposite. While the seat and chair are roomy, the system itself is not bulky. It is rather compact and allows for use in a variety of different settings. Further, the design is unique and stylish meaning that it will blend into a developed setting rather than look bulky or standout. This is one of the most coveted and respected features of this machine. Now that you have all of the knowledge you need, you may want to add this chair to your list of potential massage purchases. It is unique and it is feature-packed. With patented technologies and beautiful design, it is the perfect addition to many homes and offices. While professional in its function, it is not without fault. Review the above and consider whether or not it is right for your needs.